The Golden Rule is most often attributed to words spoken by Jesus in the Bible. But as the following author ponders, this way of being was followed many years before Jesus walked the earth. As children we are indoctrinated with this rule and it is a valuable, simple and effective rule for kindergarteners to follow. But soon after this age, unless we are blessed with conscious loving parents and caregivers, it is common for a deterioration to begin to occur, for us as individuals, along with our self-esteem. We begin a slowly depreciating self-development that withers away self-worth. Some of us begin practices at an early age (our 20s), that allow us to clear away the hurts, the shoulds, the harm that life presented to us. Some of us take a bit longer and require an “event” to wake us up and find a path to freedom. Some of us may not get the wake up call and remain in a trance for the duration of our life. Where I am going with the do unto others as we would have them do unto us is illuminate the problem with this phrase – because of our own lack of self-esteem and self-awareness. Since most, if not all, of us are not enlightened beings, we carry insults waiting to happen. These are not apparent insults; they are hidden in our own bodies, waiting for us to see them, love them, clear them, and heal them. If we don’t, our do unto others will be our debris waiting to be cleared up. Said another way, the golden rule doesn’t work because we are not aware that we are worthy of being loved unconditionally. Most of us harbor doubt, confusion, and in the worst case, self-loathing. When we do not love ourselves completely and unconditionally, then any doing unto others carries the same impression, including self-loathing, but directed outwards. We only have the capacity to do unto others, what we do unto ourselves. The best practice, in a world where much distrust, envy, deceit and anger is floating around, is to love ourselves. When we love ourselves, we soften and attend to the lingering debris in our bodies that calls for attention. We heal the tender holes and tensions with love, self-love. Then, from that place of wholeness we can truly love others. Do unto others what you would do unto yourself, AFTER you have loved yourself with your whole heart and whole mind. My theory is that bad things happen because unconscious people are spreading their pain to others – doing unto others as they would do to themselves. They don’t know any better. Do you love yourself fully? Where might shreds of doubt, insecurity, and self-hindering be lingering in your life? What sensations do you notice in your body that could be invitations for deeper exploration? How does money affect your self-love? What pops up with that question? Where does money live in your body of sufficiency; meaning, feeling whole and nourished with self-care? These wonder queries are potent places for development. My suggestion is, don’t go alone in your queries; ask a friend, be with nature, sit in vast silence with the world. We all, and I mean all, have places to heal in our bodies, minds and spirits… and money is nestled in each of those crevices. It is mind-altering to recognize that as I become whole, heal and love myself unconditionally, everyone and everything around me benefits. In this stage of human development, our motto of loving with the Golden Rule actually has merit. Questions. What are questions? How do we relate to questions? We might believe that the act of being present, open, loving, receptive and clear is easy. Or, if not easy, we might believe that being with another person is an improvisational skill that can be called upon at a moment’s notice. With authentic heart connections, neither of these beliefs is true. In my experience, we all have debris covering our hearts that prevents the nakedness required to connect deeply, authentically, and without barriers. What is ripe and alive for me today is questions: the art of asking, receiving, and navigating questions. Recently I assisted in the development of new mentors at a meditation teacher training. The relationship skills being developed are that of support – like a spiritual friend. One of our areas of focus was the practice of fostering connection with another person. In the training process, we staged simulated conversations (for practice, but naturally drawing on real feelings) for viewing, supporting and critiquing, in service of mentor development. The safe training container allowed for vulnerability to shine, along with a naked presence to strengths and areas of growth. So from where does my curiosity about questions arise? a need to know – holding urgency and anxiety. a need to fix – as if given enough information an answer to the problem would arise. a need to understand – the more I resonate with this situation, the more I can be here. a need to connect – the idea that our thoughts are the best connector between people. a need to feel in control – fear of intimacy held at bay by controlling how close I get. In work, in family life, in everyday regular occurrences, and of course with money, we relate to others with questions. It seems, though, our practice of asking questions is limited. It seems that we are tethered very closely to habitual patterns – see above – that likely arose from our childhood days. I hold the same habits and it looks something like this. When a question is posed to me, I do not automatically answer the question. Instead, I look underneath the question, resting in the space between the other and me, sensing what else might be going on and what is “really” being asked. While this way of relating to questions requires more energy and bandwidth, it is the result of childhood patterning where just the answer to a question was unsatisfactory. More often than not, something else was being asked and it became beneficial to my health, happiness and well being to answer what was underneath the question versus the “face value” question. On the flip side, my questions to others are very intentional, and somewhat limited. I do not ask a lot of questions. I typically try to figure things out for myself. Again, this is not a suggested or preferred way of being; it is my childhood patterning I carry into adulthood. In this space of curiosity about questions, in the training environment and beyond, I am seeing the various ways that we relate to questions. I notice that when I receive many questions, particularly pointed questions that desire a specific answer, I tend to freeze. As my mind works, there is rarely one “right” answer. So my mind begins to sort and make connections and figure out the most likely or the best answer. At the same time, I am looking underneath for the clues and context as to what is really being asked. A superior practice is when I rest in the openness of the situation, with my heart wide and my mind curious. The responses – statements, questions, joy, resonance – arise from something other than a habit. Relating to another with generous questions is a very different experience. We all have our preferences and this message is an invitation to get curious about your way with questions. How do you relate to questions? In this training, I asked one mentor in training “who is being served by the questions you ask?” She responded with immediate recognition of serving herself and the desire to “buy time” when she struggled with relating from a different place. This simple question dove straight to her pattern where uncertainty and fear resided. There are simple questions with direct clear answers. How many stamps do you want? What time does the movie end? Do you want lettuce, tomato and mayonnaise with your burger? A small part of life happens on this level; but maybe we are comfortable staying here? As an evolving species, we are called to develop a better relationship with questions. In the world of money, elegant beautiful precise questions are imperative. We must hold multiple perspectives in most situations, in order to arrive at an answer that serves what is next. And always, questions are meant to serve the other, our clients. My body receives a very clear signal when I am being questioned for the benefit of the questioner. Depending on my day and present state of mind, sometimes I manage the questions with skill and finesse. Sometimes, however, I feel the tension in my bones where my jaw tightens and patience thins. Rest assured my response is common. When we pummel others with question after question, it feels like an automatic rifle to the gut. By now you might be wondering, can questions come from another place other than the head? Yes, I’m glad you wondered. 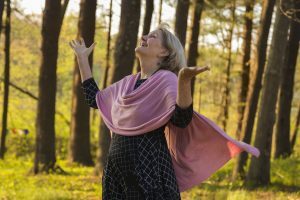 When we connect and relate from the heart – there is a deep somatic reality to heart connection – the questions that arise are very open, spacious, kind, curious. They feel very different than the ways of questioning above. We know by heart that the best way to connect with another is through the heart. The art of relating with questions through the heart lives in a doctorate program. Seriously. Few of us are well equipped in this area of relating. Let’s wonder and wander as a placeholder for exploration and gain new and valuable muscle for the benefit of connection, and the benefit of others. This is generosity in motion.